I remember a particular line from an old movie where a comedic character makes the statement near the end of the movie: “If all else fails, dance!” And one by one all the characters start dancing. This is a proven formula still and one you can apply to any number of highly successful, arena-style rock bands starting with perhaps The Stones (70s), U2 (90s), and more currently Arcade Fire (album filled with mediocre LCD Soundsystem tracks). 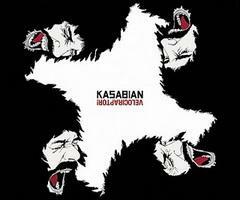 And now we have the latest effort from those lad-rockers, Kasabian. Has all else failed for the band named after Charles Manson’s getaway driver who fill stadiums in all places but America? One would think so by this overly indulgent, numerically titled release of electronica and phlegm-inducing 'Power to the People' get-up-and-shake-your-fists with adventures in lyrical clichés. Kasabian has never been a particularly definable group to me. They started out as some psych band and made sure to let everyone know they were inspired by the likes of Stone Roses, and then commenced to morph into this nebulous guitar band with an occasional song of merit and five others that leave you with nothing. I coined them the British equivalent of the American band, Black Rebel Motorcycle Club, who also had psych aspirations and are now doing songs which sound like 80s U2. You have to give Arcade Fire credit, they recruited professionals when they decided to arena tour with electronic dance music. 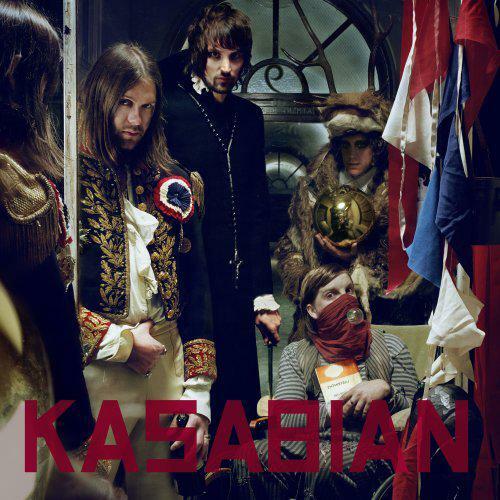 On 48:13, it appears, Kasabian have tried to do it on their own. If tracks like ‘Doomsday’ and ‘Treat’ (work it like a treat, work it like a treat, everybody! (ouch!) are any indication, they’ve been listening to Katy Perry more than Cut Copy or The Crystal Method. While 'Bumblebeee', the opening song after the silly instrumental interlude, opens with a bit of a swagger, nothing much different follows. 48:13, while as pleasant a soda pop in places, is a fairly unmemorable effort. 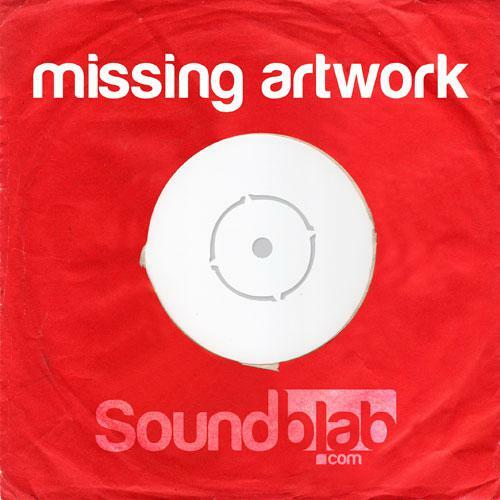 Both lyrically and musically, most tracks have that 'heard before' quality about them. The biggest problem I have with bands thinking it’s easy to do electronica is that they are shitting on a robust and mature genre for commercial success. 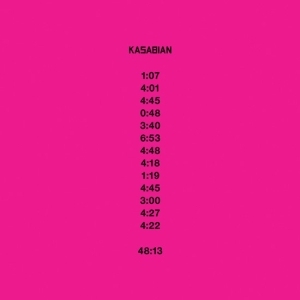 And 48:13 might well land Kasabian the commercial mother lode, but it’s easily the most unimaginative and pretentious collection of electro-pop I’ve heard in a while. Oh, and of course, these lads wanted to add some credibility to the overwrought and cliched lyrics by including the spoken word poet, Suli Breaks, and this gave Suli the perfect backdrop for probably his most vacuous spoken exercise: "It’s like being on a treadmill and not losing any weight…" (You spoke this, Suli? Well, you never know, all those overweight housewives might bring their daughters to the arena) "The most dangerous men I’ve seen are the ones in suit and tie…" (Wow, Suli, never heard that one before) No, from the overly clever numbers which make up the cover concept, to the stretch for faux anthems in too many of the songs, it all adds up to a terrifically contrived and dull effort. While this band will follow Arcade Fire on the following night at Glastonbury with a similar set of show-tune dance numbers to incite the masses, it might serve them well to discuss with Bono how it took his band 20 years to recover from Zooropa. And as the original Kasabian must have said with a smile to Mr Manson when the door swung open: “Your ride’s here…” We will see where Kasabian take their fans with this direction. I don't know if there's much publicity in the US for this album but over in the UK Kasabian have talked themselves up as a stadium band. I saw them some time ago opening at a small arena around these parts. I was actually enamored by their stage act. Nothing was said about them though. They seem to have been taught at the Noel Gallagher school of self publicity. Tell people you are the best band in the world and the sheep will believe it. Reverend &amp; The Makers were the worst band ever, truly shite.